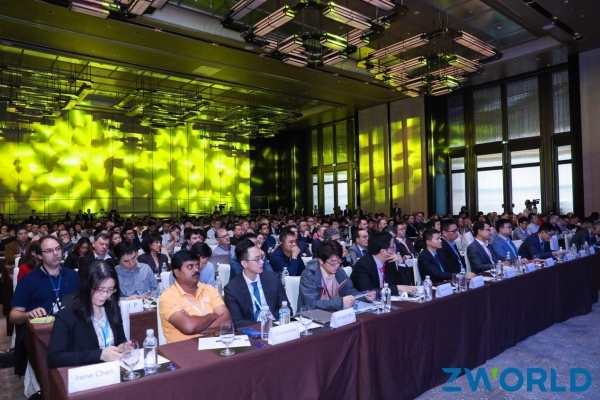 Today, ZWorld 2019 (former GPC), an open platform for engineering sharing was held in Guangzhou, China, which was a great success attracting over 120 partners from about 30 countries, 120 customers from 4 countries, developers, experts and media friends. 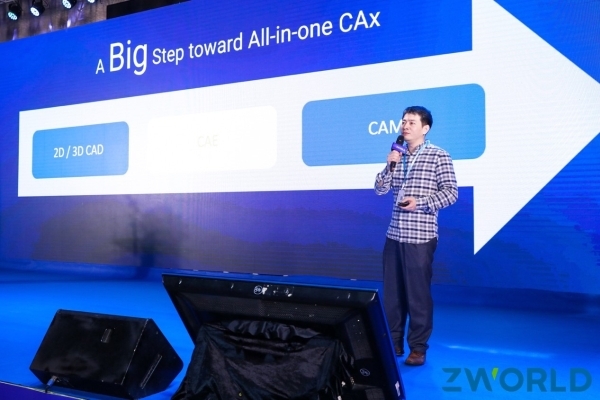 With the theme “Moving to all-in-one CAx” this year, different product values in the ZWSOFT ecosystem have been shared. Let’s have quick review! 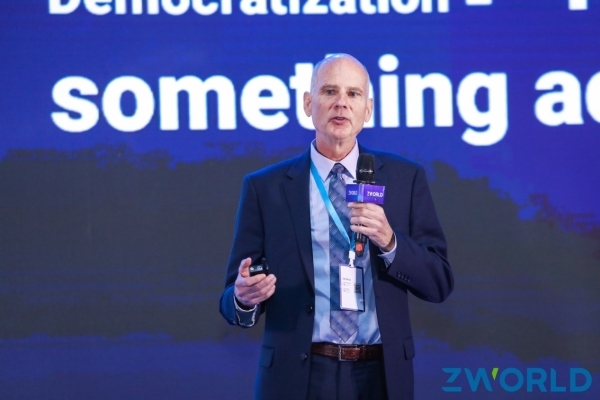 Truman, CEO of ZWSOFT elaborated on why CAx will be ZWSOFT’s blue print for the next 20 years – we want to give customers more values, and bring partners more opportunities. 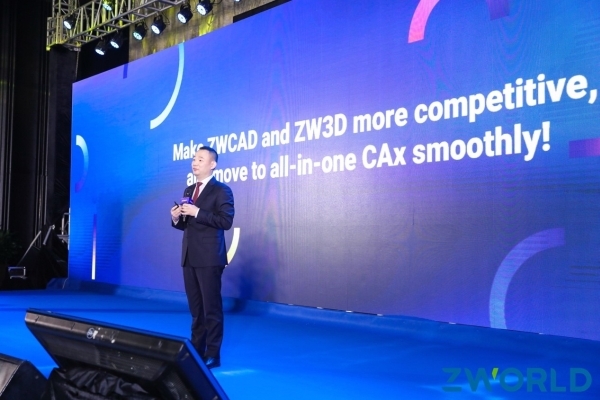 He also made clear that ZWCAD, ZW3D and the upcoming CAE solutions will support and interconnect with each other, to realize all-in-one CAx. l How’s ZWSOFT doing in all-in-one CAx? 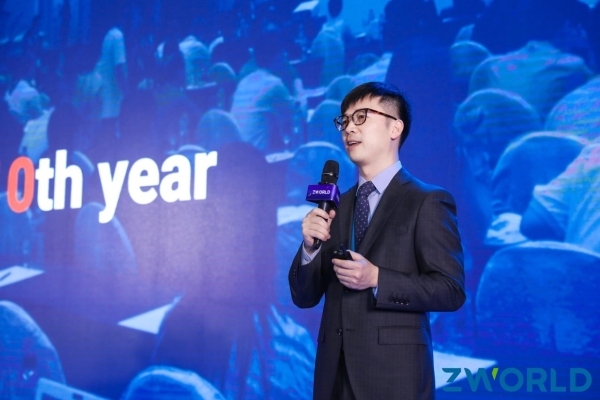 Kingdom, VP of ZWSOFT updated the overall performance of ZWSOFT last year, showing that each product line has realized strong growth last year, hitting a record high. Also, the leaders of these product lines showed the latest progress, product values and future R&D plans respectively. ZWCAD Product Manager Daniel rolled out the beta version of ZWCAD 2020 and unveiled important enhancements, such as the IFC/STL/DAE format support, new PDF Underlay Manger, ATIL library, the even faster performance, etc. The official version will say hi to you in June. 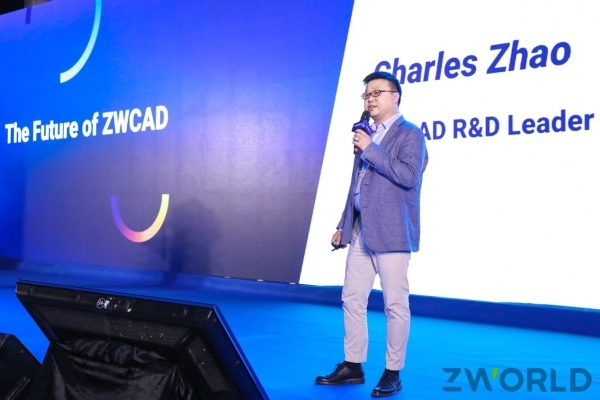 What’s more, Charles, ZWCAD R&D Leader, gave us a clear picture of ZWCAD’s R&D plan, emphasizing on improving its performance, joining all-in-one CAx with a powerful platform and making it “smart” with AI or machine learning. 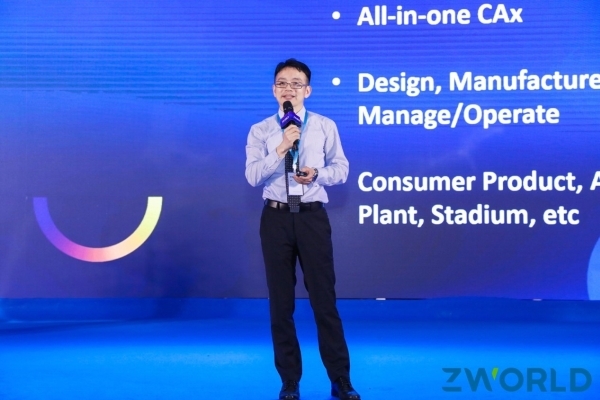 Technical Director of ZWSOFT William introduced the powerful features in ZW3D 2019, like User Define Feature, Shape Attribute, improved Assembly, etc. He also introduced the 3D CAD viewer CADbro and its strengths such as 3D Annotation, Advanced Analysis and Cloud Viewing. 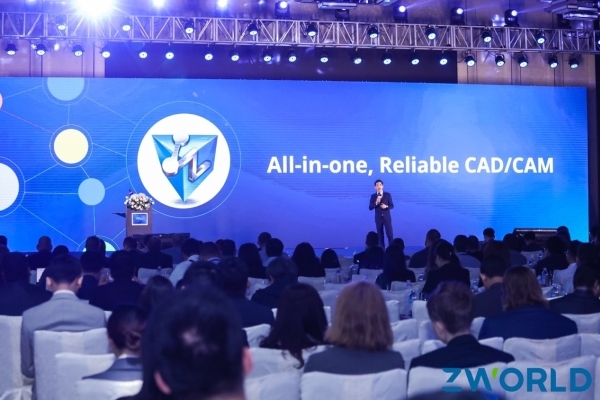 Then ZW3D R&D Leader Joh presented the 5-year plan for ZW3D, answering how to realize faster and more responsive modeling, how to enhance large assembly capabilities, and how to realize stronger application functions to serve more industries. Daniel again announced the brand-new version CAD Pockets V4, which has realized the integration of CAD Pockets, the mobile CAD viewer/editor, and CAD Chat, the web solution for teamwork. It satisfies the needs of both individual use and team collaboration, mobile and web devices. You may take the first bite of it in May this year. Can CAE be affordable, functional and integrated? 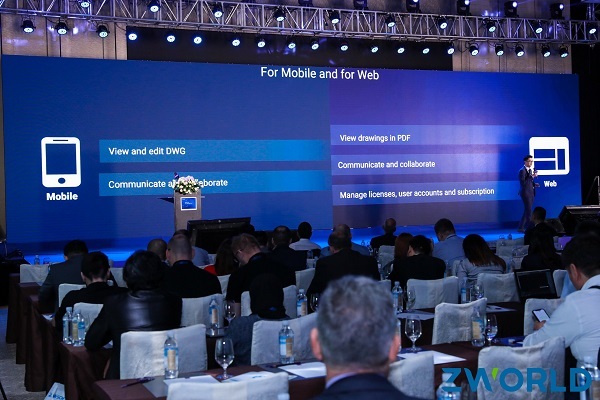 Mark Vorwaller, ZWSOFT America President answered with “yes”. Why? ZWCAD and ZW3D have managed to do it. We have the accumulation. It is in the DNA of ZWSOFT. 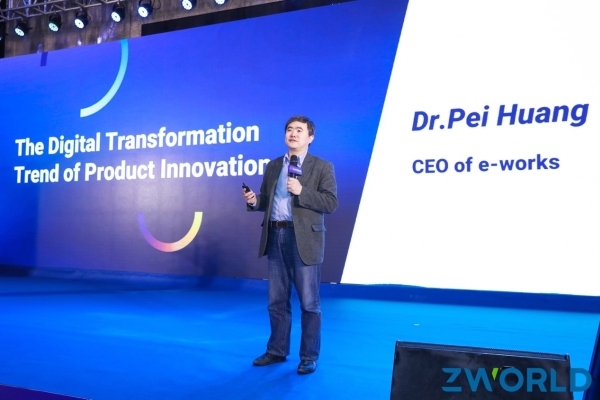 The most exciting part of the conference is that ZWSim-EM, ZWSOFT’s first simulation product for electromagnetism, made its very debut by Dr. Xiao Tian, ZWSOFT Chief Scientist leading the CAE product line. It is going to benefit many fields like cell phone, microwave components & circuits and metamaterial with shallow learning curve, high speed and accuracy. For the future CAx strategy, structural, thermal, fluid dynamic and multi-physics analysis are on the way, providing users with more values. 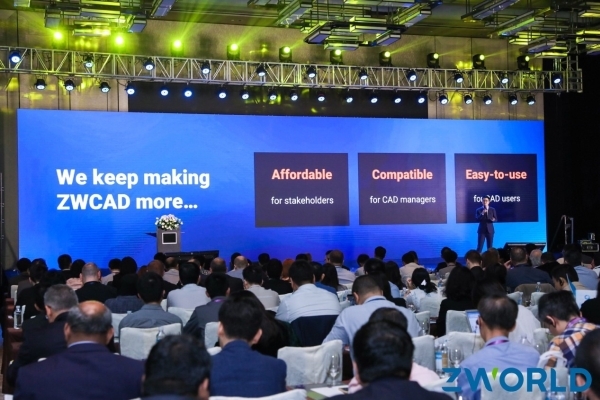 There were also other amazing sharings from our technical partners such as CADENAS, whose Strategic Part Management has speeds up design in ZW3D; our valuable clients Avintia and TE Connectivity, who introduced how ZWCAD satisfied their requirements; and industry experts such as CEO of e-works Dr. Pei Huang, whose insights into the digital transformation trend of product innovation were inspiring. Moreover, the booths and presentations of our eco-partners such as Moldex 3D, CADAMSOFT, CADENAS, SZANSA, TECNIROLO, etc. have shown their excellent solutions and received warm welcome. From GPC to ZWorld, it has been 10 years, and we are so thankful to our partners and customers for your support all the way. 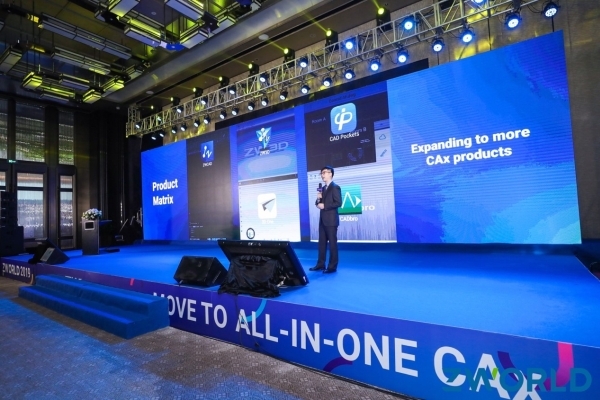 In the future of moving to all-in-one CAx, we would like to provide more product values to our customers, and win with our partners together. See you next time! ZWSOFT CO., LTD. (Guangzhou) is a reliable and innovative engineering software provider with its flagship products ZWCAD and ZW3D. 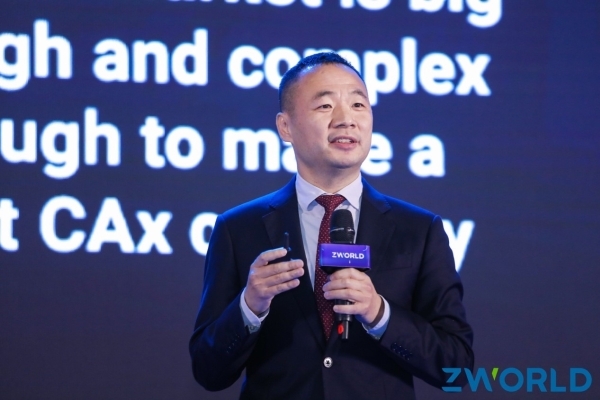 Committed to providing complete and seamless user experience to worldwide users with its all-in-one CAx solutions, ZWSOFT has continuously satisfied diverse needs of various industries such as AEC and MFG. With over 20 years' experience in the industry, its products and service have been proven by over 900,000 clients across 90 countries. 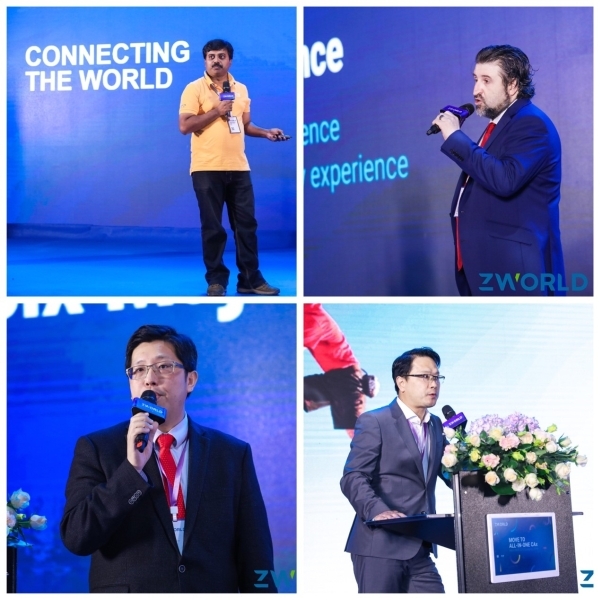 < 20 Days To Go: Are You Ready for ZWorld 2019?